Mornings are often such a rush, especially in the bathroom. Whether you can take your time shaving or you must do it in a hurry, you always have the exact time in view with this radio-controlled bathroom clock from TFA. The four large suction cups on the back ensure a secure hold on tiles or mirror surfaces – so there’s no need for drilling. 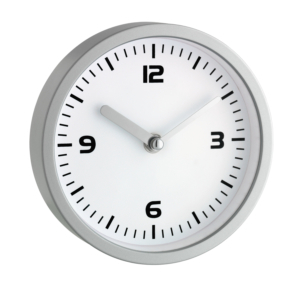 Alternatively, the moisture-proof clock can placed on a surface by its stand, or secured with the hanging eyelet. 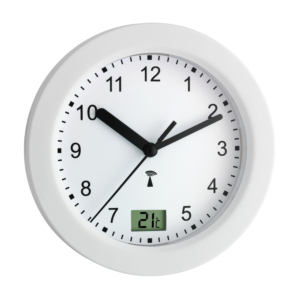 This TFA radio-controlled wall clock receives the time via the DCF 77 signal and so the current time is always displayed to the second, which eliminates the changeover from summer to winter time. In addition to the second-precise time, the clock also displays the day of the week and the date. 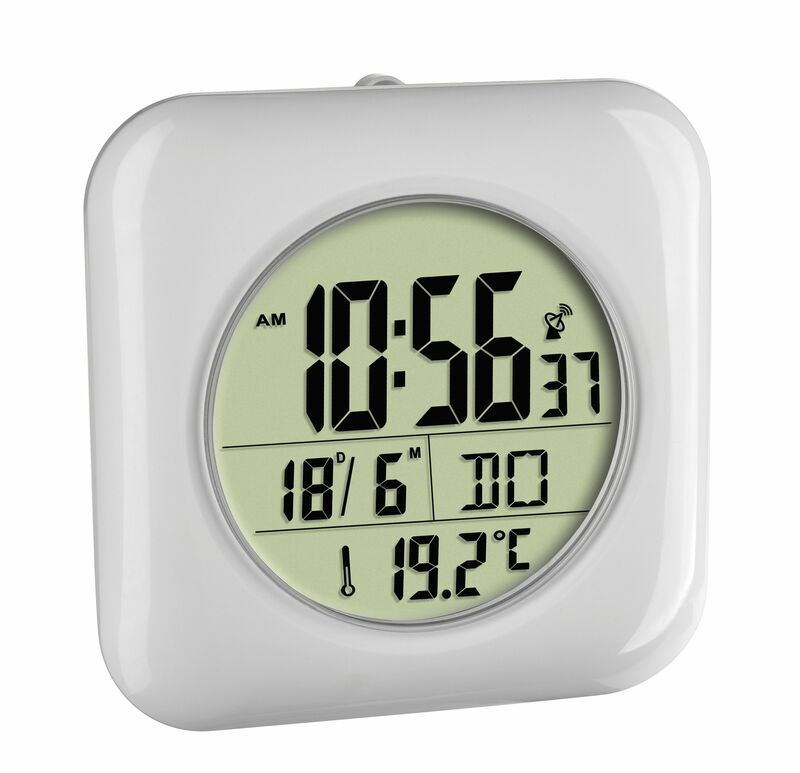 The integrated thermometer measures the inside temperature and so you can ensure a pleasant climate in your bathroom. Experts recommend the temperature to be between 20 to 23 ° C.